Dhauti is very important because it is one of the six process include in shatkarma. 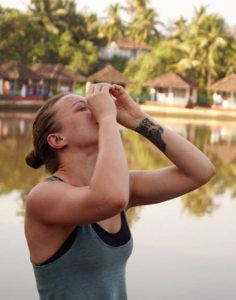 Shatkarma is the process of cleansing the mind and body in six ways and is usually done before doing any asanas (postures) and pranayamas (breath control). 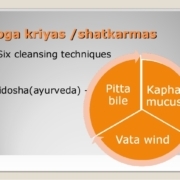 Hatha yoga practitioners advice to do shatkarmas because of its cleansing properties. First is jala dhauti and the second is vastra dhauti. 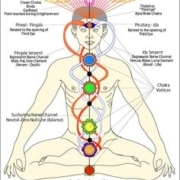 Today, we are going to talk about vastra dhauti kriya but it is the harder to do because jala dhauti is done with water which can be digested or leaved as it is in our stomach but we can’t leave cloth or cotton strips in our stomach like food and always remember that while doing any type of dhauti kriya, It should be done in the expert guidance and supervision- it is essential for the well being of that person and it should be taken seriously. As I have said before vastra dhauti kriya is not the easy one and can damage the stomach if any part is missed inside stomach so keep in mind to use a strong cloth or cotton strip for doing it, nowadays nobody use cloth for the danger and outdated purpose and it should be kept in mind that cotton strips are more favorable for this compared to cloth strip because cotton can absorb acidity and other burning elements that are not good for stomach. Start by taking a strip which is 2 to 3 inches wide and 20 to 25 inches long, I know you must be thinking that is way to long but it is needed for full cleansing of our stomach and other digestive tracts. Now take a owl of warm and salted water and remember to measure the quantity of salt as 5 ml or one tablespoon for every half liter water so prepare accordingly; now dip the whole strip in water to make it wet and soft for taking in, remember that you also need a glass of warm water to drink afterwards so make the complete preparation beforehand otherwise it can cause trouble for you; let me again warn you beforehand that it will not be easy for the first 5 to 7 times but after some time you will get comfortable with it and do it with ease. 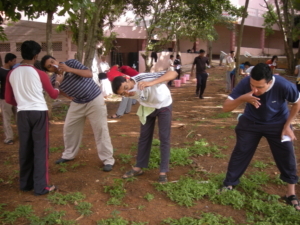 Now the real process of vastra dhauti kriya begins, sit with spine straight and in a attentive position and remember that squatting position is best suited for this kriya but you can sit normally if you like and remember to choose a peaceful and open environment while doing this kriya. Now grab the one end of strip and take it in mouth and let it stay there for some seconds, after this start swallowing strip very slowly, you will feel nauseous and uncomfortable in this step and you may want to call the quits, it’s your choice to do it or not but there will not be any harm for you in it, to make it more comfortable yoga teachers instruct students to only swallow 2 to 3 feet at first day and start increasing the length day by day until you can completely swallow it but remember to leave half or one foot of strip outside for you to pull it afterwards and glass of warm water will help you in swallowing the strip so you can take sips after swallows. Now it’s time to churn the stomach/ belly from one side to the other or perform nauli to get more better results; let it rest there from 5 to 20 minutes and not over or under this time frame, it is important; now slowly pull out the cloth from mouth and you will see lots of waste and impurities especially mucus on the cloth; either dispose that strip in dustbin or wash it for reuse, depends on you. Vastra dhauti kriya is great for cleaning esophagus, stomach and intestinal tracts by soaking the mucus and phlegm from inside and thus cleaning the whole upper digestive system, it also works great for reducing large spleens and other diseases related to esophagus, stomach and intestinal tracts especially acidity and burns. 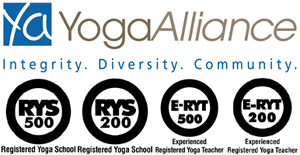 After telling you about vastra dhauti kriya, let me tell you that our yoga teacher training in India provide various courses for yoga enthusiast who wants to learn yoga and become teacher or practitioner themselves, it is a great opportunity to take a break from your hectic life and indulge in a peaceful environment. 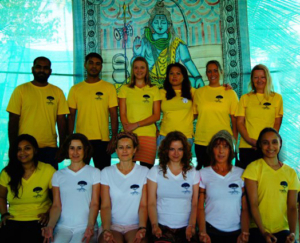 We provide various courses ranging from 200 hour yoga teacher training certification with experienced teachers at our center ‘Mahi Yoga Center’.